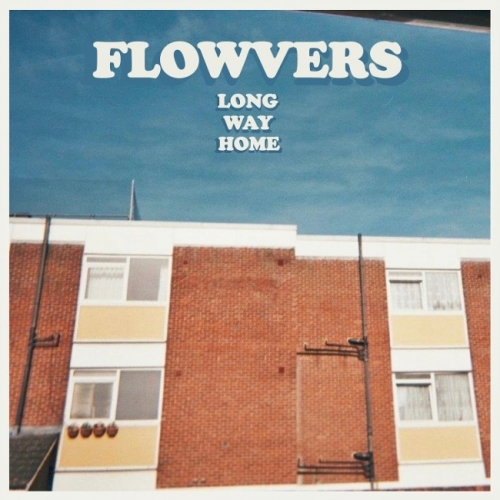 We were instantly impressed by Long Way Home, the superb new single from Portsmouth indie four-piece FLOWVERS. Formed in 2016 as a three-piece by Matisse Moretti (vocals), Henry Wood (bass) and Stanley Powell (lead guitar) whilst still at school they were joined by Connor Griffiths on drums last year. Since then they have been lighting up the south coast and building a loyal live following with their brand of late '80s and early ‘90s inspired indie dream pop. Taking cues from the Stone Roses, Ride and the Cure, Long Way Home is an absolute joy full of indie charm and jangly guitar melodies that has already caught the attention of Spotify with an addition to last week’s New Music Friday playlist. Over the weekend BBC Introducing Solent gave the track its very first radio spin and we expect to see this picking up more plays across specialist shows on 6Music, Radio X and BBC Introducing over the coming weeks. Having sold out their first headline gig at the iconic Wedgewood Rooms earlier this year and recently supported Black Honey, the band have been invited by Victorious Festival to close Sunday on the Seaside Stage this Bank Holiday weekend. Following that, the foursome will head on a tour of the south including shows in London at the Old Queens Head, Islington, (27 Aug) and a headline slot at Camden Assembly (23 Sept) for War Child’s Rising Event. Still only aged between 16 and 17, FLOWVERS are a young band with a tremendous amount of talent and indie spirit who have a very bright future ahead of them. Ones to watch.